This has been an eventful labor day weekend. We went on our first camping trip. It was surprisingly cold at night, just over 50 degrees with steady wind. 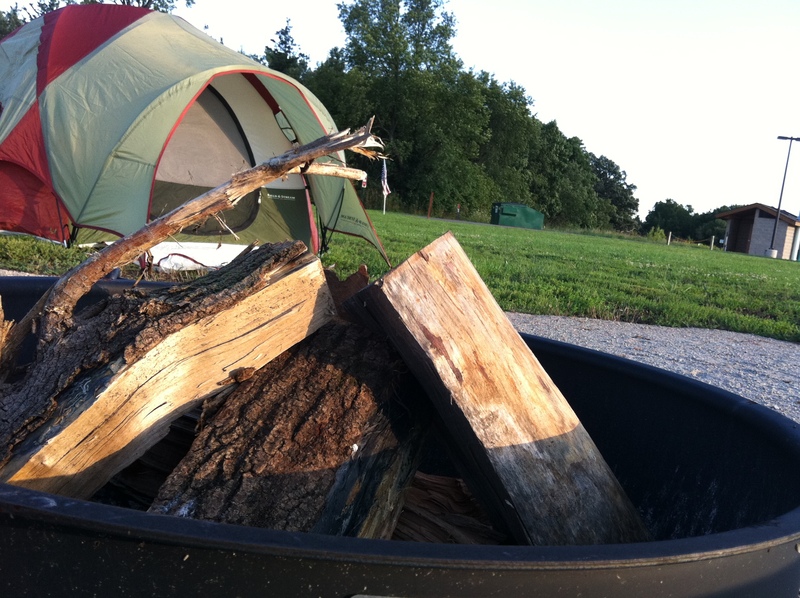 We went with a primitive camp site. Our only source of heat was our fire. We roasted cheese sticks, attempted roasting tofu, and of course s’mores (yep, we’re novice campers). We also cooked soup. A lot of other campers had their dogs with them, maybe sometime in the near future we will bring our Shiba along for the trip. We have slowly started shopping for puppy stuff. I recently had a friend offer me a crate that her family no longer uses. However, it is a fairly large crate. Is this a bad idea? I’ve heard that if the crate is too big for the dog it will encourage him to eliminate in his crate. Has anyone found this to be true? If not, that wold be great cause I would love a free crate! Pet stores sell dividers for large crates. They’re for owners with large breeds that are still puppies. It’s so they only need one crate throughout the whole life of the dog. As it grows they gradually move the divider. I say get the crate and just buy a divider! Take the free crate! Along with purchasing a divider, I’ve also heard of people closing off the space with a cardboard box if it’s too big for the pup. I second/third grabbing the free crate and using divider! I went through the exact thought process as you did when choosing a dog breed, and it was also my girlfriend that turned me to Shiba Inu. =) Looking forward to future updates, you are also quite an artist! Thanks Ting for the tip!